Light adaptive lenses automatically darken on exposure to UV light but whilst inside or at night time remain clear. 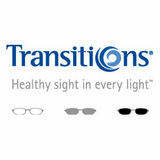 Available in lightweight plastic the most modern of these lenses, Transitions Signature 7, absorbs harmful rays of both UVA and UVB light, giving your eyes maximum protection. This latest plastic Transitions is the fastest reacting ever, goes the darkest when reacted and is available in a choice of thinner materials. This material can be used for Single Vision, Bifocal and Varifocal lenses and is available in brown, grey and graphite green colours. 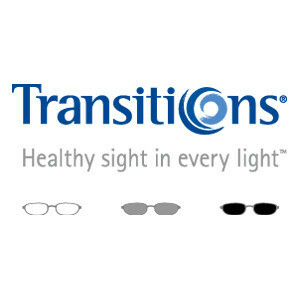 Transitions XTRActive are an enhanced version of the lens and are the darkest everyday transitions which will react even when you are in a car, giving you even more flexibility from your lenses. Generally, light adaptive lenses darken substantially in response to UV light within one minute. It will then continue to slightly darken over the following 15 minutes. When going inside, therefore losing the sunlight, the lenses will start to clear within 2 minutes and continue to clear over the following 15 minutes.